Switch to easy, convenient and environmentally friendly e-billing. Receive your bill via e-mail and access your account any time. Now you can have access to your electricity bills at any time of the day or night where you have access to the internet. Login or Register Now to our AccountOnline and update the Paperless Bills option under “My Profile” for “Yes, I want Paperless”. How do I sign up for eBills? You can sign up directly on our web site by clicking here and selecting Login or Register Now. Once you have logged in, click on My Profile and select “Yes, I want Paperless” and then scroll down and Update My Profile. If you are signing in to AccountOnline for the first time, the option to choose paperless is in the web access registration process. Go to Register Now and complete the fields as required. When can I expect to receive my first eBill? Once you have signed up for paperless billing, you will receive a confirmation email from Halton Hills Hydro eBills and then your next bill issued will be sent electronically. How will I know that I have a new eBill? We will notify you when your eBill is ready to view by sending an email to the address you provided. If you are concerned about missing a payment, consider taking advantage of our convenient Pre-Authorized Payment Plan. How do I view my eBills? 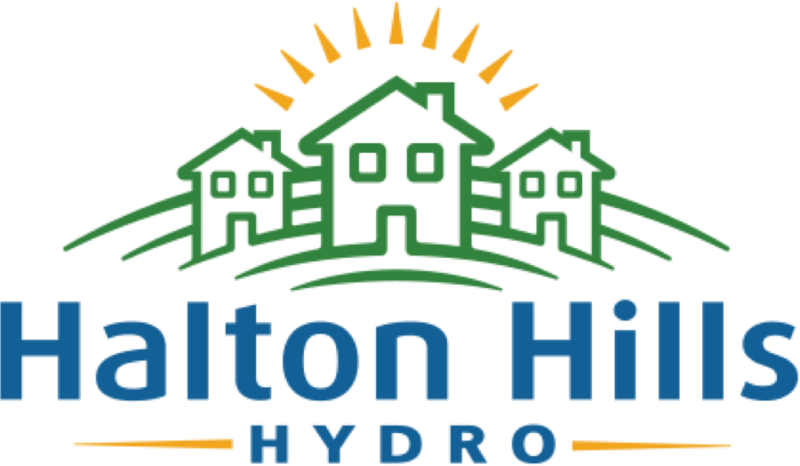 After you have activated your account, simply log in with your User Name and Password (using the link embedded in your notification email) to view your Halton Hills Hydro eBill. 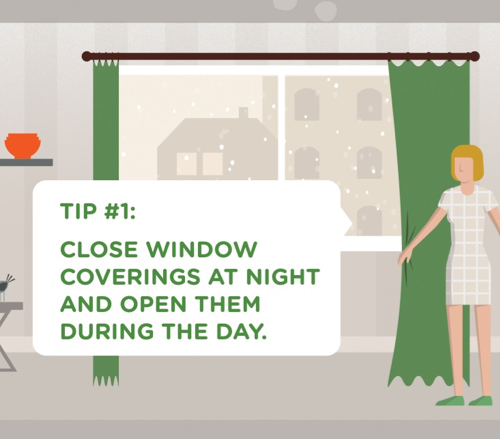 You can view, save, or print a PDF format of your current bill. You can also review your previous bills, and access all the information that is mailed with our paper bills. What will my eBills look like? Your eBill is an exact replica of your printed mail bill but in a electronic PDF format. Why can’t I view my Detailed Bill? To ensure you have access to your eBills, you must have a Web browser that supports 128-bit encryption. As well, you must enable cookies. Electronic Bills are presented in PDF format. To read PDF documents, you will need to download the free Adobe Acrobat Reader. Note: If you have Adode Acrobat Reader installed and are still having trouble viewing your bill we recommend you clear your browsers cache, close your browser and try to view your bill again. How many of my previous bills can I view and print using eBills? You can access your current and previous bills (up to two years) online, 24 hours a day, 7 days a week. How do I save a copy of my Detailed Bill to my computer? Go to the View & Pay Bills tab. When the PDF file opens, right click and select Save As. You can then name the file and save it to your computer. How do I print my Detailed Bill? Can I print it in black and white? To print your Electronic Bill, click the printer icon in the top menu bar. You can print your Electronic Bill in black and white; simply choose the printer settings that suit you best. Do I have the option of having my bill emailed to me as a PDF? Emailing your bill as a PDF file presents a security risk to you in that emails can be intercepted, as a result we do not offer this option. Why didn’t I receive my e-mail notification? I know my e-mail address is correct. There is a possibility that your ISP (Internet Service Provider) has mistaken our e-mail notification as junk mail and has failed to deliver it to you. Many Internet Service Providers (ISPs) are installing spam filters to help reduce the overwhelming amount of junk mail. Occasionally, legitimate emails are mistaken for junk mail and are blocked. Please contact us and verify your e-mail address. If it is correct we recommend you contact your ISP and ensure that Halton Hills Hydro is a valid emailer. Can I pay my eBills from the Halton Hills Hydro Inc. web site? Yes, you may pay your bill with a VISA, MasterCard or American Express, any day, 24×7 using secure card payment options that are provided by third party provider Plastiq. Plastiq charges a processing fee to use their service. Halton Hills Hydro does NOT receive any part of these processing fees. If you prefer, you can have your bill amount withdrawn automatically with Halton Hills Hydro Inc. Pre-Authorized Payment Plan option. I’m already a Pre-Authorized Payment Plan customer. Do I have to sign up for PAP again once I activate my eBills account? No, your PAP status will not be affected by eBills. Your payments will continue to be automatically withdrawn from your account. The only change is that now, instead of receiving a paper bill in the mail, your bills will be available to view online. What if I think my eBill is wrong? If you have any questions or concerns about your bill, please contact our Customer Care department, Monday-Friday 8:30 a.m. to 4:30 p.m. at 519-853-3701 or 905-453-2222. If I move to a different property within your billing area, am I required to register again? Yes, for your security we require that you sign up for each account separately. However, when you move, you will still have access to your old account information (for twelve months). I think I may have entered an incorrect email address – what should I do? If you enter an incorrect email address when signing up for eBills on the Halton Hills Hydro Inc. web site, you will not be able to receive a confirmation of your eBills activation, or notification when you have a new eBill. However, you will still be responsible for ensuring your Halton Hills Hydro Inc. account is paid on time. Please contact our Customer Care department, Monday-Friday 8:30 a.m. to 4:30 p.m. at 519-853-3701 or 905-453-2222 to update your information. I am changing my email address. Do I need to notify you? Yes, advising us of any changes to the original information you provided, including a change to your email address, will ensure that we can continue to contact you about your eBills. To let us know about your new email address, please login to AccountOnline and go to My Profile. Enter your new email address and click on Update My Profile. If your user name is your email address, you will need to contact our Customer Care department, Monday-Friday 8:30 a.m. to 4:30 p.m. at 519-853-3701 or 905-453-2222 and they will be able to change the user name to match your new email. How do I cancel my eBills service? To cancel your eBill service, login to AccountOnline and go to My Profile. Select the option ‘No thanks’ to paperless bills and click on Update My Profile. Please contact our Customer Care department, Monday-Friday 8:30 a.m. to 4:30 p.m. at 519-853-3701 or 905-453-2222.